Frísco is delicious on its own, for sure, though really shines as a base for cocktails. Just remember, the 45% ABV and incredible smoothness makes for a downright dangerous combination. Usually, we suggest people try Frísco neat or with ice, then with a splash of soda, and finally in a delicious cocktail. This walk takes you through the different levels of complexity of the spirit and let’s you really appreciate how beautiful it is. Here are a few easy to make cocktail suggestions for yourself and friends. Enjoy! Add ingredients in cocktail shaker with ice. Shake well for 20 seconds. Strain and serve upright in a classic martini glass with lemon expression. Get to the Greek. Inspired by Freedom Blackard. For an easy and delicious summer sangria, combine ingredients in a pitcher and stir. Serve in four wine glasses over ice. If not rushed, let Frísco, Rose, and fruits marinate overnight. Frísco don’t need no fancy dressing! Assemble as listed with wedges for garnish and enjoy amongst friends. Start tampering with this take on a classic White Russian by using Frísco instead of Vodka. Assemble Frísco, coffee and ice in a collins glass and stir. Finish with cream for effect. No discussion of politics allowed. Slice strawberry into a 10 oz. cooler glass. Add Frísco and gently pour beer along side of the glass. Delicately stir ingredients and top with ice. Inspired by the Progress SF and awesomeness. Mix first three ingredients in cocktail shaker with ice. Shake vigorously and pour into a coup glass. Slowly pour wine over a spoon to add float. Inspired by Enrique at Delarosa SF. Can add egg white and/or serve on the rocks if you like, get creative! In highball glass combine Frísco, Matcha, and block of ice. Top with soda water and stir gently. Matcha syrup can be made adding 1 part sugar to 2 parts green tea or add a pinch of matcha powder. Muddle Jalapeño and Cucumber in cocktail shaker. Fill shaker with ice and add Frisco, Club Soda, Simple Syrup and Stir. Serve on the rocks in a highball with jalapeno and cucumber garnish. ¡Picante! Combine Frísco, Kombucha, and ice in rocks glass and stir. Garnish with mint and tell yourself the probiotics make it healthy. So you’re looking for a party! Combine ingredients in glass with ice and stir. Pour into Frísco Disco glasses and enjoy on the dance floor or poolside ;-) Make life easier and batch beforehand. Simmer Fresh Apple Cider in a pan or kettle. Put Frísco, orange juice, and spices into your favorite mug. Pour cider into the mug and lightly stir. Garnish with cinnamon and orange wedge. Can also be served cold for a refreshing treat. Chill all ingredients. Pour the first two ingredients into a shaker filled with ice. Shake well. Pour into the Champagne flute, stir, then top with a splash of Champagne. Get cozy and enjoy this winter classic. Combine the following ingredients in your favorite mug, stir until honey is dissolved. Yup, it’s that easy. SHHOOOOOOMMMM!! What’s that sound? The Fleet Week Special. Add ice to a shaker and first four ingredients. Shake well. Pour over ice. Top with Champagne. Garnish with wedge of pineapple, lemon, and sprinkle of salt. Ideal for big parties! Combine Frísco, fig preserves, and wine in a shaker. If fig syrup is not available, fig preserves can work in a pinch.) Stir for 30 seconds. Pour into a coupe or red wine glass. Garnish with a slice of fig. Did you know the original French 75 was made with Brandy, not Gin? Well, we are bringing back the trend! Pour measure of Frísco into Champagne Flute. Slowly add bubbly. Garnish with lemon. Mix the ingredients with ice and let chill 30 seconds. Pour into an Old Fashioned glass for swank appeal. Garnish with a slice of pear. In a pitcher, combine Frísco and fruits and let sit 2 hours or overnight. Add the remaining ingredients along with ice to the pitcher. Stir well for 20 seconds. Serve in 4 wine glasses. is practically a way of life in Venice. Add ice to an 8 oz. wine glass. Add Frísco and Aperol. Top with soda water. Stir gently and garnish with citrus. WATCH ALL THE VIDEOS HERE!!! Start with Frísco, lemon and lime juice in a glass with some ice cubes. Add a bit of soda water and simple syrup. Stir well. Simple and vibrant. In a pitcher, combine Frísco and fruits and let sit 2 hours or overnight. Add the remaining ingredients along with ice to the pitcher. Stir well for 20 seconds. Serve 4 in low wine glasses. In a shaker, use 4 ice cubes and combine ingredients in order listed. Shake vigorously for longer than usual. Strain into a coupe glass and garnish with 5 dots of bitters. Start with the Frísco as your base and then add ingredients down the list. We serve ours in mason jars with plenty of ice. Garnish with pineapple slice. Another option is to blend it with ice like a daiquiri. Shake, strain, and serve up. Or add ice and blend. Pour into a glass and garnish with a fresh cherry or a slice of piña. Use a Frísco in this take on a Dark and Stormy. Mix Frísco, fresh lime juice, and mint in a tall glass. Fill with ice and top off with cold ginger beer. Stir and garnish with a lime wedge and mint leaf. Measure and mix the ingredients into a shaker. Shake with ice and strain. Serve straight up. Sometimes simple is good too. Take your pick of a cola, we like Mexican Coca Cola for its use of sugar cane. Add Frísco, Cola, ice, a slice of lime into a rocks glass, give a quick stir…and presto! Measure and mix the ingredients (including jalapeno) into a shaker. Shake with ice and strain. Serve over a large ice cube in a rocks glass. Garnish with additional slice of jalapeño. 1 or 2 Thick slices of jalapeño, with seeds for extra spice. Frísco don’t need no fancy dressing! 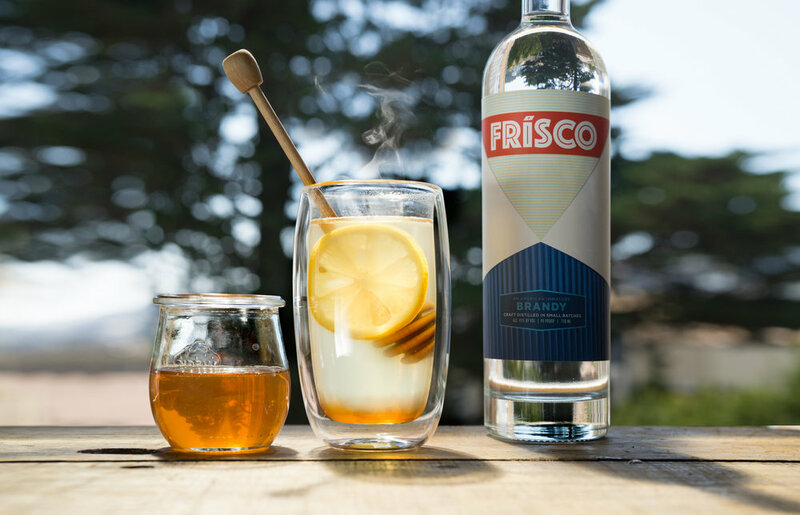 Enjoy the full flavor of Frísco neat or on the rocks. Feel free to add a splash of water or soda to open it up if you want. You got this. It's totally worth it, and totally not annoying. Take a deeper look and check out more information here.